Distilleries et Domaines de Provence | Gentiane de Lure Aperitif | Aperitif — Emporia Brands Ltd. Enter into a history packed with taste, the history of a distillery which has inherited ancestral traditions but certainly knows how to move with the times. Distilleries et Domaines de Provence selected the location of Forcalquier, the capital of flavours and fragrances, where it has remained to this day. In the heart of rural Provence, in an authentic setting between mountains and scrublands, it lovingly rewrites the recipes for its Aperitifs and Spirits. No need to wonder where this subtle blend of many flavours originates. It comes from one of the most fragrant regions of France, where expertly selected ingredients are combined to make products worthy of the “Made in Provence” label. 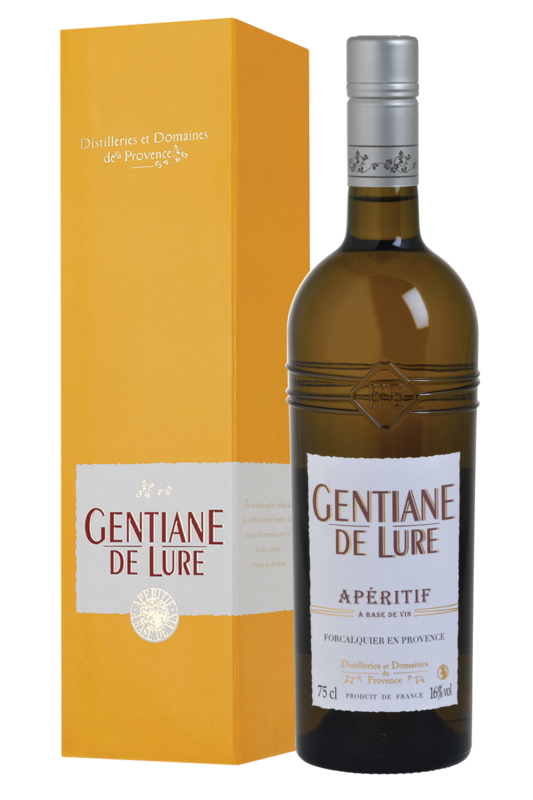 Gentiane de Lure is one of the two oldest Distilleries et Domaines de Provence recipes. It’s an aperitif made from Lubéron white wine, sweet fortified wine, alcohol, sugar, infusion and extracts of gentian roots, infusion of sweet and bitter oranges and a quinquina infusion. It has a gentle bitterness and the true root flavours and aromas of Provence. One of the oldest Distilleries et Domaines de Provence aperitifs, Gentian de Lure is made for connoisseurs of gentian and lovers of all things bitter. Nose: The vegetable nose of gentian roots is complicated by a citrus note as well as forest undergrowth and spice, which can be reminiscent of curry. Palate: In the mouth, the attack is fresh on the citrus, the end is more bitter on the gentian. The mouth intensity is powerful with a bitter and tonic taste. The product's taste lingers for a while.